Jack Nicklaus captained the 1987 Ryder Cup team in his own backyard at Muirfield Village Golf Club. 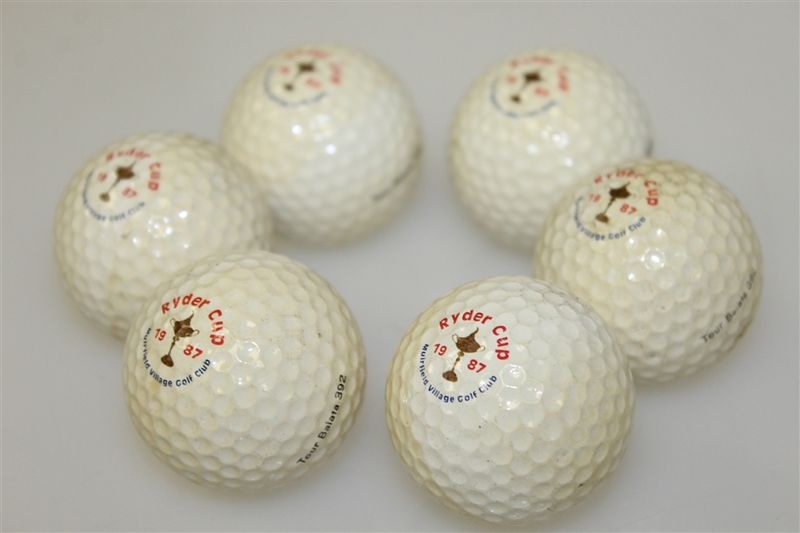 The final was 15 to 13 Team Europe in one of the more memorable Ryder Cups. 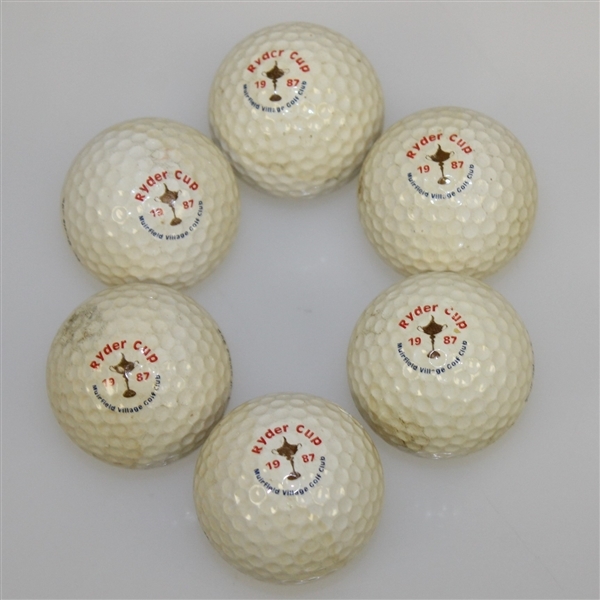 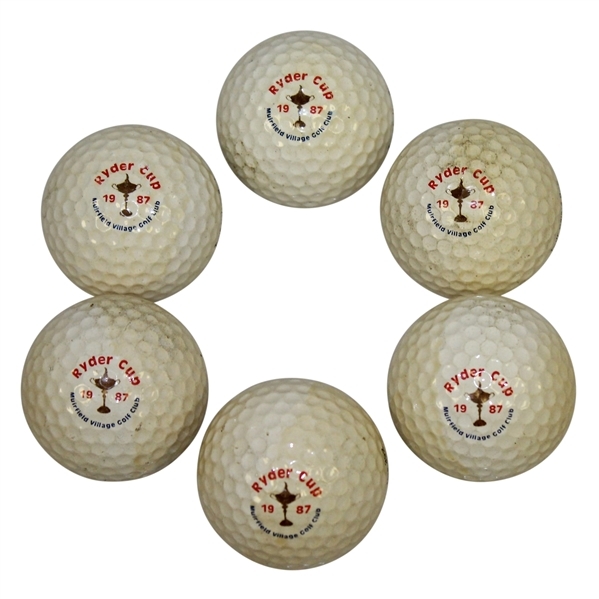 Here we have six 1987 Ryder Cup logo golf balls in good condition.